I wrote this article in 2011, after attending a gathering of bamboo rod enthusiasts at the Railroad Ranch. As in many sports, the techniques an expert employs are not always obvious to the casual eye. Recently at the Railroad Ranch on the Henry’s Fork, I had the opportunity to watch upwards of forty people cast all variety of bamboo fly rods. Their skill level ranged from average to expert. As I’m very interested in the mechanics of fly casting, this was a good opportunity to study a wide range of casting strokes. In the process I couldn’t help but notice—as always—the different ways in which people employed their wrists during the casting stroke. Typical for these gatherings, some folks made more efficient use of their wrist than others. Proper use of the wrist is an important aspect of an efficient fly casting stroke (the wrist’s function is to accelerate the rod), yet it’s a topic seldom talked or written about. I hope my thoughts are of interest. First, some terminology. 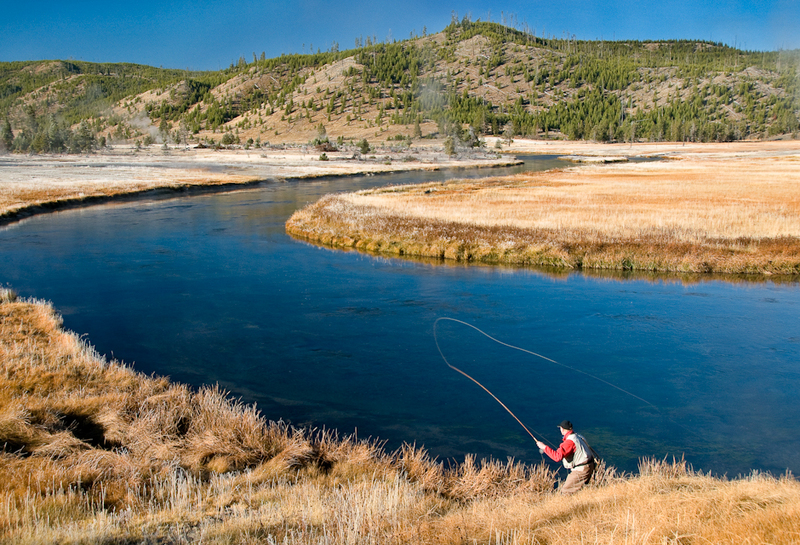 Hold a fly rod in hand, thumb on top of the grip. Position your forearm parallel to the ground. Adjust your hand and wrist so that the rod is also parallel to the ground. Notice your wrist position. This is the “closed” position. Now raise your arm as if making a backcast of thirty feet or so in length. Your upper arm should be almost parallel with the ground, and your forearm should be vertical. 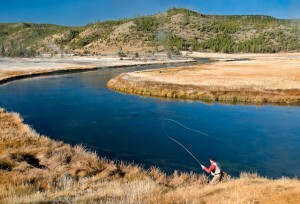 Your rod should be pointing backwards, between the ten and eleven o’clock position. Look at your wrist. This is the “straight” position. This is an ideal backcast position for average length casts in normal circumstances. Astute observers and fellow students of casting might wonder at what point the wrist changes position during the stroke. Should the change from closed to straight and then from straight to closed be metered out to occupy the entire length of the stroke? Should it happen in the beginning of the stroke? During the end? This is where things get interesting. One hallmark of the expert caster is efficiency. Toward that end, any given casting movement is best accomplished by employing the largest muscles possible. If we employ the wrist at the beginning of the casting stroke, we are in part using small muscles to accelerate the rod—acceleration that could be accomplished more easily by using the larger muscles of the arm. The same thing happens if we meter out the use of the wrist throughout the casting stroke. In effect, we “waste” the wrist early on by using it to achieve acceleration that, again, could be gained by using the larger muscles of the arm. But if we “save” the wrist until the second half of the casting stroke, we can further increase rod acceleration without increasing our arm speed. And that’s efficient. Unsurprisingly, it’s also what the experts do. Two important points. When the wrist is brought to bear during the second half of the stroke, it should be done so with gradual acceleration. In other words, the wrist starts slow and finishes fast (the same way the arm moves during the casting stroke). Second, when final acceleration is achieved with the wrist as opposed to the arm, ceasing that movement abruptly—as must happen for an efficient cast—is much easier. It simply requires less effort to stop our wrist than it does our entire arm (which is what we would have to do if we relied only on the arm for rod acceleration). It’s another seldom discussed point in fly casting, but deceleration is as important as acceleration in making an efficient cast. Amateur anglers I watch cast employ the wrist variously. Mostly they spread the wrist’s effort over the entire length of the stroke. While less than ideal this is not a fatal casting flaw. Only less efficient. For many fishing situations you could even say it’s inconsequential. But it is one of the many refinements that separate amateurs and experts. Analyze your own use of the wrist by paying attention to it as you cast, by video analysis, or by having someone knowledgeable watch you cast. If becoming a more complete fly caster (especially at distance) is important to you, this is one detail that deserves close attention.